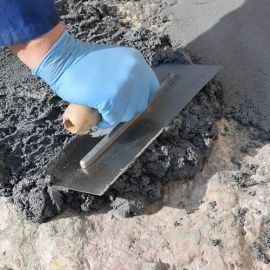 For permanent repairs to acid damaged concrete. A curing time of just 5-6 hours at 20°C. Resincoat Acid Repair gives good chemical resistance. Coverage: approx. 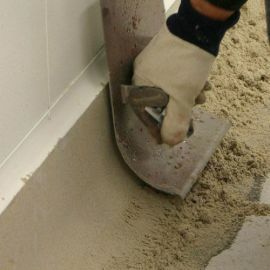 1.2m² per 10kg depending on depth of repair. Drying Time @ 20°C Ready for light traffic after 6 hours. Usage - Surfaces Surfaces that have been damaged due to acid. 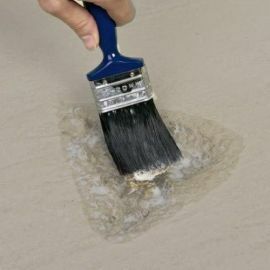 Surfaces should be clean, dry and free of all loose material. 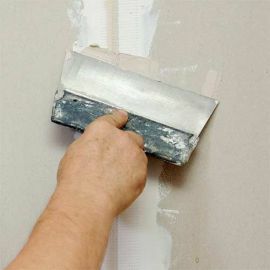 Wire brushing or sweeping is generally sufficient. 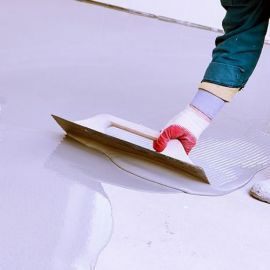 If the surface is damp, it can be primed with Resincoat Tack Coat..
A primer is not usually required if patch or crack repairing. 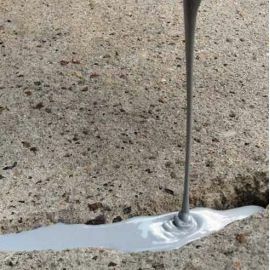 Resincoat Tack Coat adhesive primer is recommended when applying Resincoat Acid Repair as a thin section screed or when applying to smooth, non-porous or metal surfaces. Each pack of Resincoat Acid Repair contains aggregate pre-blended with resin and the curing agent. Food products must be removed from the area during application and cure.